If the Tour de France looks too exhausting to contemplate (even watching) and the Giro is a distant memory how about a Lake District Grand Tour? Part travelogue, part cycling guide and part beautifully sketched social and natural history, Mike Carden�s book takes readers through the literal ups and downs of one of the UK�s most spectacular and diverse landscapes. Heading off with his son Richard in tow � actually most often out front rather than �in tow� � Carden sets about tackling routes via every lake in the Lake District in a nine-day odyssey that is as beguiling as it is (seemingly) simple. 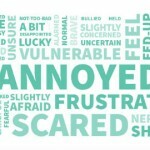 The written style, like much of the cycling involved, is relaxed and a gentle, dry humour makes light of proceedings whilst delving into some true gems of archaic local trivia that could have you winning a specialist pub-quiz round hands down. Like any good bike ride there is food aplenty (�man-size pies� loom large) and whilst nine-days around the Lakes might not sound like the kind of epic quest that makes for inspiration, Carden does an excellent job of �selling� the area as a must-see destination. 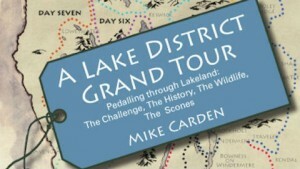 Each chapter covers a day in the saddle � for example the 56miles from Gramere to Cockermouth � and whilst the book regrettably lacks pictures there are frequent QR codes that link to the accompanying website (lakedistrictgrandtour.co.uk) for itinerary details, places of interests and further reading; a resourceful approach to publishing. In fact the lack of pictures is perhaps not a downside at all; Carden does a more than adequate job of describing the wonders of Lakeland and there has seldom been a photograph that does adequate justice to the majestic beauty anyway. As US President Woodrow Wilson said � and Carden notes in his book � �No doubt God could have made a lovelier country than the Lake District, but I cannot believe he ever did.� A Lake District Grand Tour is gentle and lyrical, but above all it is an open invitation to come and cycle by the shores of Ullswater, Grasmere, Wast Water, et al. And why wouldn�t you want to? Read the book � take the tour, Lakeland is waiting. See also lakedistrictgrandtour.co.uk for further details.